Yisrael Beytenu chairman reportedly demands defense ministry, passing of original Draft Law as conditions to joining Netanyahu's coalition. Yisrael Beytenu chairman Avigdor Liberman has set two preconditions for entry into Prime Minister Binyamin Netanyahu’s next government, Channel 12 News reported on Friday. The first of those conditions is Liberman serving as defense minister. The second condition is the approval of the Draft Law in its original wording, without the changes demanded by the haredim. Liberman has not yet spoken to Prime Minister Netanyahu about joining the coalition as he is currently vacationing In Vienna, according to Channel 12 News. Yisrael Beytenu won five seats in the 21st Knesset, according to the results published by the Central Elections Committee on Thursday night. Liberman served as defense minister in Netanyahu’s previous government, before resigning in November of 2018 following the launching of about 500 rockets and mortars at southern Israel by Hamas and other terrorist groups. His resignation and the withdrawal of Yisrael Beytenu from the government left the coalition with a narrow majority of just 61 MKs and was one of the main reasons that early elections were called. 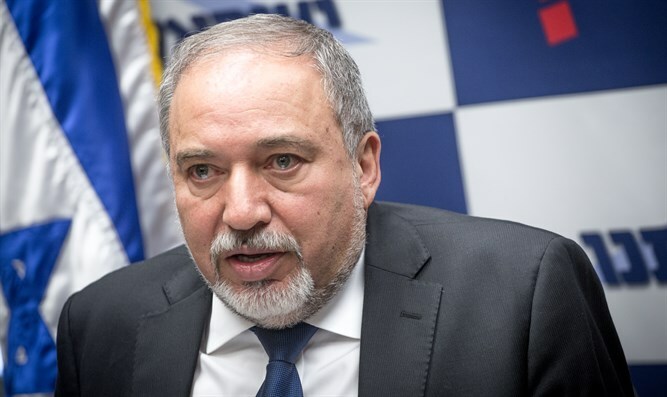 Liberman has stated several times, including just last week, that his party will not compromise regarding the Draft Law, and that only the law prepared by the Defense Ministry will be acceptable to him. The Draft Law would deal with the enlistment of haredi yeshiva students. Currently, full-time yeshiva students are not required to draft and receive annual deferments. However, the Supreme Court knocked down the law allowing that, demanding the Knesset pass a new law acceptable to everyone.